It is with a deep sense of grief in my heart that I write to you on this occasion of the passing away of Venerable Gangodawila Soma Thera. I am deeply grieved for more reasons than one. Ven. Soma Thera's demise has caused a great and irreparable loss to both Sri Lanka and the Buddhists of the world as well as a personnel loss for me as I was fortunate enough to know this great monk for many years and be a good friend. My earnest request from all Sri Lankan Sinhalese Buddhists are that, not to be a victim of those who spread false rumors or gossips and create unnecessary problems. Which may blacken the name of our Rev. Thero and also the whole Buddhist community. Any sensible person may understand that there are very cunning people with ulterior motives who may try to instigate innocent people in to situations similar to what happened in 1983 so they can achieve their goals. The last time I talked to Soma Thero was two weeks ago. I called him from Melbourne Australia, when I learned, that Rev. Soma was admitted to a hospital in Leningrad, what he told me was "Lakshman, what happens to every one has happened to me". ("Monavada Ithin Lakshman, Kata Katath vena de matath Una"). Purpose of my call was to suggest the Ven. Thero to return to Australia for further treatment. Twice I asked, why not come back to Australia ? on both occasions Soma Thero told me that he is happy with the current treatments. I closely knew Thero for a number of years and understand the difficulty of persuading him to change his mind. That is his strength of character which we admired. We knew, unlike other Mahanayakas or Nayakas who easily change mind when there is a chance o getting a big donation or a gift of a Benz car or some other worldly thing. Our Soma Thero can not be persuaded not even by the closest friends even in a situation like this, until he himself is convinced. Knowing that few others who phoned before me from Australia, like Kosala Jayasinghe, got the same "No" answer, I did not asked for the third time, Instead I blessed the Thero for a quick recovery. Then I Informed Mr. Kosala Jayasinghe and also the Rev. 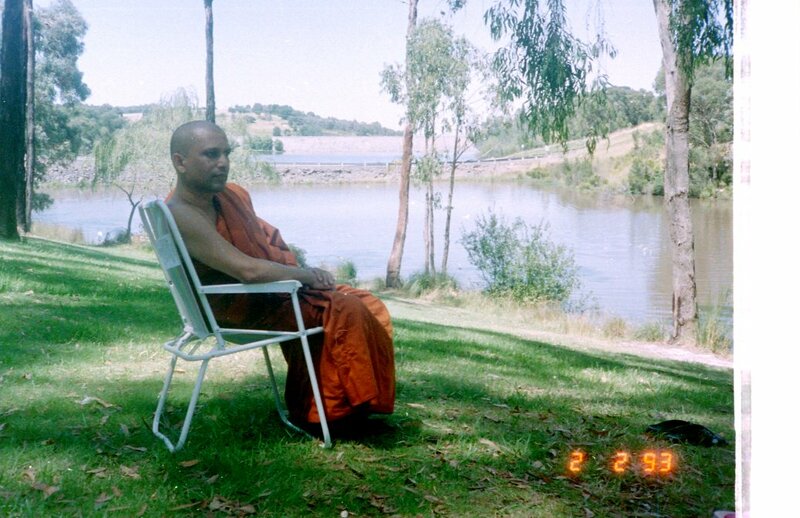 Vijitha Thero at "Dhamma Sarana" Vihara at Keysborough, that I too was unsuccessful on getting a "Yes, I like to come to Australia for treatments answer from Soma Thero". If that answer was received by any of those who phoned from here then with the help of the "Dayska Sabahva" of Victoria Buddhist Vihara it could have been easily arranged and as an Australian Resident, Rev. Soma could have received the world best medical treatments for no cost at all. 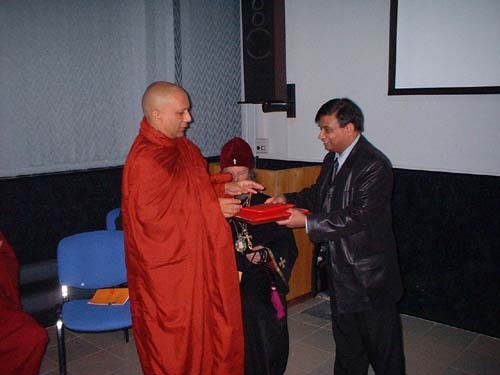 Mr. Kosala Jayasinghe Being a former Russian graduate himself and also a Committee member of the Buddhist Vihara Victoria (The Temple established by Rev. Soma Thero), then started doing what ever possible to do under the circumstances. Like arrangement of the visits of specialist doctors from Moscow and a range of other things. Following is the report we received on 6th Dec.
Until that time. (Until the report from Dr. Karu - about two months after first heart attack) Nobody here had any idea about the real medical condition of Rev. Soma. What I see as real unfortunate is, that during all this time Rev. Soma had a phone with him but he never called the people who could have mobilized support for him. Even when we called, Rev. 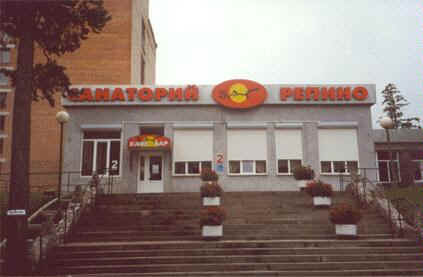 Soma wanted to stay and complete the treatment at Leningrad. I do not know whether returning to Australia or Sri Lanka may have saved him or not, but what I can say is that, we tried our best. But without the consent of Rev. Soma we were not able to do it. Perhaps it was our misfortune. Ven Soma had told callers on 10th that doctors decided no surgery was required but they will place 3 stentors and he could go back to SL in 2-3 weeks. Dec 12 th was a public holiday and a long weekend in Russia. I presume that when Ven Soma had chest pains on that Friday morning at 6 a.m. there were no doctors to attend to him He passed away at 8 am Moscow time. 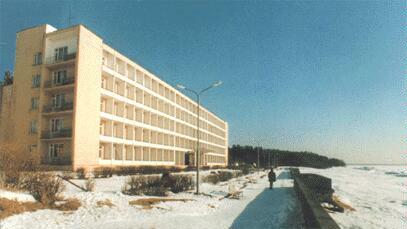 He was not in a hospital per se, it was something like a rehab centre for post-operative care. His last known communication was a phone call to Sri Lanka around 6 am inquiring the condition of his very sick mother and asking to look after her. Then he had indicated that he is getting chest pains and waiting for the doctor to arrive. Also he had given instructions about a book written by him which is completed and needs to be published. 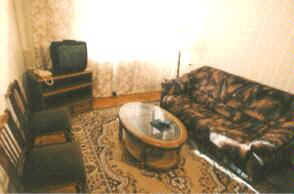 Soma There was Invited to Russia by one Shantha Jayasekkkarraan and no travel insurance was taken. His body will be kept at Maharagama Dharmayathanaya till the 20th morning. Thereafter it will be brought to Bambalapitiya Vajiraramaya. Cremation will take place at Henry Pedris Stadium, Havelock Town at 2:30 pm on Sunday. "It is a pity that with your vast knowledge of astrology, you were unable to predict the demise of Ven Soma Thero and warn him in time - even to enable him to take travel insurance." Ask any one who knows him at personnel level. Ask Soma Thero's family. Ask from any one associated with Dharmayathana. Ask any one in Melbourne associated with the temple. I think about half of the Sri Lankan children born in Melbourne Australia had their letters for name received from Rev. Soma according to Astrology. He never went any where without "Lanka Panchanga Grahasputa Litha". Any one who used to visit the temple (Springvale at first, Noble Park and Berwick later) knows that the sure way of telling whether Ven. Soma is in the temple is to see that Panchanga Litha is anywhere in the vicinity. To tell frankly we were surprised and annoyed by it and I remember that we talked among ourselves on the evening of 1st December, as following " Me Miniha hamuduruvanta Ina Behathak vath Deelada Danne neha, Me tharam api kiyana de ahanne natthe "
That was the level of frustration we had. When lord Buddha was close to passing away, Ven. Anandha had the opportunity to ask Lord Buddha to prolong life span of Lord Buddha by willing it. To stop that, Mara, the Deity of Adharma possessed the Ven. Ananda's mind and Ven. Ananda completely forgot about it. It looks like something like this has happened. There are many things to be learned from this incident. Ven. Soma had talked about the demise of Sinhalese and the Buddhism in Sri Lanka. But I have my doubts whether our Nayakas or Maha Nayakas have the capacity to grasp it and to learn from it (As they are worried only about whether they will get fish or chicken for the next lunch of Dhana) and look in to 10 -50 years of future and stop the disaster looming ahead which any sensible person can foresee. It is shocking to learn that certain extremist religious groups have prepared hit lists in their possession for future assassination attempts. This is a time that all those who are in India and Sri Lanka who work to bring Dharma to light, should take care. And also this is a time that both Buddhists in Sri Lanka and Hindus in India should unite for protection and preserve the unity and the integrity of their culture and associated belief system. Otherwise the destruction of Sri Lanka and its culture associated with Buddhism will be the beginning phase of the destruction of India and it's great culture. Both Hindu and Buddhist leaders must understand the gravity of the situation and must act wisely and with fore sight. Otherwise the ones who will pay the price for it will be innocent Buddhists, innocent Catholics, Innocent Christians, Innocent Hindus and Innocent Muslims, Because as Sinhalese/Tamil conflict had shown us clearly it is the innocent that always suffers, while culprits are safely hiding in the bunkers. As it looks that both Hindus and Buddhists are going to face same problems in the future in 10 -20 years time. If any one will come to help Buddhists in Sri Lanka, then it will be only the Hindus in India and no one else. But it does not mean that Hindus have to be Buddhists or Buddhists have to be Hindus. It mean that Buddhists should be the friends of Hindus and Hindus should be the friends of Buddhists on the face of forced conversion of poor with the use of money. The poor had become easy target because there is no or very little connection with them and monks except coming for a pansakuula when some one is dead. The easiest way of having good connection, is the way shown by Lord Buddha. Occasionally visiting houses in the area for alms (Pindapata). But how many monks visit houses in the village for alms, at least once a year ?. If they do that they will know how people live in the area and will develop good relationship with the dayakas or the people in the area better than any missionaries and no one will be misguided or converted to born again Muslims or Christians. For hundreds of years the Buddhists, Christians, Hindus and Muslims had coexisted in the country. As I said before, any sensible person may understand that there are very cunning people with ulterior motives who may try to instigate innocent people in to situations similar to what happened in 1983 so they can achieve their goals with the out side help and money which might start pore in once the conflict is created in between religions. It is a great blessing to be able to live under wise leaders. Australia is a good example. Thanks to the leaders of both ruling parties who unite when ever there is an acute problem needs to be addressed, the country is peaceful prospering and people feel that there is a future for them. No religious group is having target hit lists of the leaders of other religions. Except for those bloody terrorists I presume. Even that problem is addressed for the fullest extent of law thanks to the government and unselfish leadership of wise politicians and good strong media. It is really unfortunate that people in Sri Lanka have no good leaders, political nor religious. What they have is a bunch of stupid and corrupt to the core, uneducated, selfish, quarrelsome fools whose behavior even inside a sacred place for democracy like the parliament is disgusting and horrible. Greatest fools of all are the majority Sinhalese divided under party politics of UNP and SLFP (I am a Sinhalese) they allow those foolish politicians to create havoc while the country sinks in to oblivion and innocent people like us who want to live in peace and mind our own business are suffering. When the majority is divided and fighting each other there is no way that minority can benefit and it is the minority who is the first casualty. Therefore, first of all the majority Sinhalese should unite and force those rule the country to make a genuine effort to solve the current problems like passing good effective and fair legislations and have genuine desire to enforce those. Then only the minority can breath easily, country will prosper, people will be happy and no body will have plans to kill the other just because he goes to a different place for worship or speaks a different language at home because it is very silly and a stupid thing to do. He just wanted to bring the majority Sinhalese out of the darkness we are fallen in to. His only desire was to see the country he was born become a peaceful prosperous country governed by wise leaders similar to Australia where he later become a resident. That is why during past few years he went from village to village, temple to temple enlightening people on his own unique way addressing simple people in simple language talking not only about the real Buddhist attitude but also about the real cause of the social economic problem. But he had to pay from his life for that simple desire. If Ven. Soma knew astrology well, why he talked against it in public. First, I too was surprised by it. When I first heard certain parts of "Anduren Eliyata"
Pushing people towards blind belief is harmful. Such as pushing people to place too much of faith on Rahu Kala and various types of Pujas conduct on mass commercialized scale etc. To stop that, he had to talk against certain things. He had no choice but to talk against the range of misguided Pujas and ceremonies organized by those commercial minded people using the name of Astrology together with the same type of rituals conducted by certain Buddhist Priests like famous Dolukanda pujas distributing blessed water (Pirith Pan) by bowser loads. Did Soma Thero have 3 hands ? Note: Even I myself is now confused, so many people say so many things it is hard to think what is really happened. Why for 2 months No one was informed about the Soma Thero's condition ? Why it was kept secret ? (2.) Why Soma Thero was so reluctant to listen to us (not only me, but a number of other people including Sri Lankan Ambassador) Was some sort of threat or blackmail involved ? which we did not hear over the phone. Did the people who visited Thero late felt any thing unusual ? Why thero was so much worried about getting money down to Russia (Presumably for the operation) rather than returning to Sri Lanka and Australia. During the conversation, when he told me that "Lakshman, what happens to every one has happened to me". ("Monavada Ithin Lakshman, Kata Katath vena de matath Una" I told him Do not talk like that ,You are a person the country need at this hour. Do not stay there. I was there for 5 years and I know how difficult it is to be there If you do not know the language well (Russian) The medical facilities are not the best you can get. The person you are with, is a person we do not know, many people who become rich in Russia during "Piristroika" did so by wrong means like bringing students to Russia and abandoning them and he could be one of them. If you are in Sri Lanka or Here (Australia) then we know who are the people you are with ? so please listen to me and come back. Lot of heart patients travel to other countries for treatments, they do not walk ! all of them travel by air ! !, I never heard of a heart patient who died in a plane so come back ASAP. If you do not have a ticket to fly, If there is no other way to rise money I will go from house to house here and collect money for the ticket ("Sammadam karala hari ticket eka Aran Evannnnm"), tell me that you want to come. Then he told me that he want to be treated there and to tell Kosala to send him some money. I got annoyed and asked as I used to confront him "Mokakddha Hamuduruwane Salli dha Oonne Den, Thamunge Saukkiya Da Oonne ? (What is valuable and required now, health or the money ?) Then he told me no, there are some hospital bills to be paid. Then for the second time I asked him Please come back!, He said Here is good. Then I said please do not let any one there to operate on you, take what ever medicine and as soon as you feel bit better, leave Russia. And finished my call after blessing him for quick recovery. (The above call was given at 1 Dec at 9:47pm Melbourne time to the phone no. 79213530859 and duration of the call was 2 minutes 06 seconds according to the phone bill - While writing this, I again tried this number but currently not working). Therefore we need to find out how much money was sent for the treatments from Australia and Sri Lanka and how much was with Rev. Soma when he went there on October and what was the total and how much was paid for the treatments and what happened to the rest. (3.) Some say that according to info it is NOT Lillith Kotthu Halluva Velu of Seylineco Who is NOT one of the evangelist religious activists is the one who had NOT introduced Janawijaya Editor to Ven Soma and this is NOT a well planned plot. Is that information is correct or not ? (4) Most intriguing of all is the following. Was the Soma Thero a person with 3 hands ? I have understood through your 'jyothishya' web site that you were a very good friend of our ven.Soma Hamuduruwo.also you are keenly find out the reasons behind this very sorrowful incident.Yesterday I watched 'janahanda' through TNL and main topic was find out reasons and suspicious points behind this incident.I went to IUFS web site (http://www.iufs.edu/) which includes those photographs showing our ven.Thero was awarded PHD.actually there are three photographs showing our Thero. What yesterday discussion at TNL shows that those are not original photos and those have been created purposely.actually site shows medium size photos and it is difficult to find out any special difference.but after I listened yestrday program what I did today was save those images separately.Then I was able to mazimize or minimize them for having some closer view. 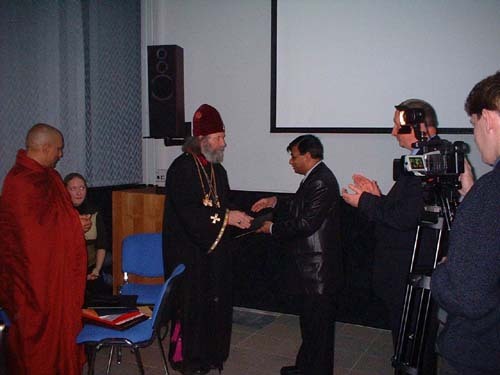 (1) photo displaying our ven.Thero was being awarded PHD.try to see our Thero's hands.if you check this one hand bearing a letter and the other hand bearing a framed certificate.see the hand bearing the letter closely.That's really not a one hand and there are two hands.what they have done here as I guess is that cut or erase some fingers from one hand (This can be done very easily using photoshop software) to display two hand as a one hand.Then the other hand bearing framed certificate is not our thero's hand.That's something they have inserted separately. To view this carefully you have to save photos separately by right click on them and have to check with 'Zoom' tool by mazimizin and minimizing as you want. (2) photo displaying Rev. Vladiko Antonio's PHD giving.Here our ven.Thero is standing in the left side by keeping his hands together.what I notice here is the way he was keeping his hands in this picture is very similar with his hand bearing the critificate in earlier photo what I discribed under (1).I feel like they have creatd that hand by erasing first 2 fingers from this picture.pls check it if you have time. (3) photo displaying all degree holders.our thero is sitting at the centre of first row.if you see this photo closely,actually photo of 'ape hamuduruwo' is a totally created one and not a natural one at all.see the color of thero's wearing 'siwra'.top part of it have natural colour normally our thero wear.but bottom part colour is very different than top part.I think they have combined those two pieces.also see his face.it is also a created one and not his natural face .also his fingers are totally created ones if you see carefully those fingers are very unnatural except our thero others fingers and faces are natural. I know whatever we do or we see now...it is useless.our only hope and only strength has lost. what he told us is the only thing with us at this moment.it is very difficult to bear his sudden death.only thing I feel is that we are the most unlucky people living in this world.That's why we lost him. He was just like our teacher guided us for a long time. He will live in our minds till we alive. Thanks for reading my long mail.I just feel to write you this as you too can check these pics and educated others as you have more facilities to do that.also as you couldn't see our programs here in Sri Lanka,I just want to inform you about latest program telecast in TNL yesterday. 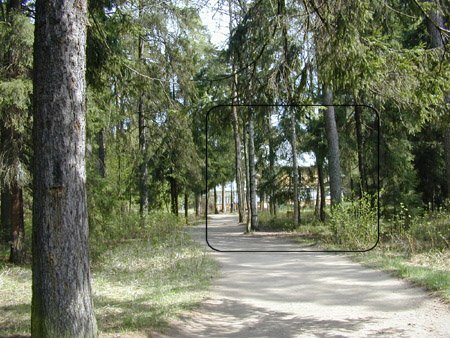 The best way to solve this puzzle is to find the video. Is this man an innocent fool or the biggest con ? I am totally lost. If he is an innocent victim of the circumstances, as Buddhists it is very wrong to point finger at him. On his part it is wrong to keep silent. He must come forward or at least post an statement in his web site explaining what had happened. Since he is the person who invited the Thero, at least he owes that much to people and friends of Thero. If he is really a Professor as he says and not a fool, then that is what he should do. Once insulin overdosed it causes instant heart attack. Because it will make blood more thicker." P.S. (12) 26/12/2003 Why Soma Thero went to Russia ? First I must say that I am not Soma Thero's keeper nor advisor, Because, the quality of a person is measured in 3 parameters. Elder by Knowledge (Gnana Vrudha) Elder by Quality (Thapo Vrudha) Elder by Age (Viyo Vrudha) and Soma Thero was by all means Senior to me on all the above qualities. I am only a friend. In fact a friendly lay critic. As only a handful of people like myself and Rev. Dhammagavasi Thero (Sydney Lankarama) dared tell good things as good and bad things as bad directly to Thero. But we never criticized him behind his back. For an example there was a time, almost daily, we used to tell him "Rev. Do not be so blunt and direct in your preaching and make so many enemies out of potential friends, be a little bit mild". But that was the uniqueness of him many people appreciated. Whether he is dead or alive a good friend always stand behind the correct actions of his friend. So I think it is my duty to answer this question. Why Thero went to Russia ?. First let me tell some facts. Before leaving for Russia Rev. Soma had a T.V. Interview at TNL, and the interviewer Chamuditha, wanted to tell people that Rev. Soma is Leaving for Russia to get a Honorary Degree. But Rev. Soma told him not to publicize or talk about it. (See here). Just before leaving the country he told the same to a well known publisher at Maradana. Actually according to my knowledge too he never had any desire for such things. In fact he left every thing and during mid 1980s he was living in a cave like a hermit monk in a very remote jungle at Maha Oya area. 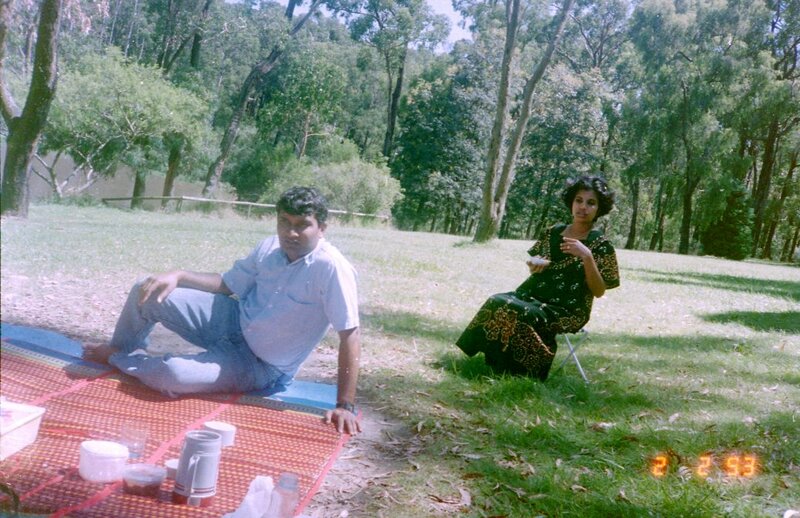 At that time a very pious Sri Lankan Lady in Melbourne heard about our Thero and invited him to Australia for a short visit of "Dharma Pracharaya". At that time there were no Sri Lankan Buddhist Temples in Australia as such. With that visit, soma Thero pioneered the establishment of Buddhist Temples in Australia. The first such temple established was at Springvale. When he was at Springvale, on a number of occasions he told me that, the time he was living in the cave was the happiest. that was his simplicity. In fact if he really wanted a some sort of a Degree, he had ample opportunities to attend a good university in Australia and subsequently gain a one. Like what Rev. Dhamagavasi had done already. Once a honorary degree of "Sri Saddharma Keerthi" was offered to Rev. Soma. But he refused it telling that there are others who deserve it. Therefore he never cared about Degrees, honorary or not. No need to say that Reverent Soma had enough recognition from people. If any recognition was to be gained from offering him a Honorary Degree, that honor was to the institution which offers the degree. That is why Rev. Shanthi Pushpa was keen on this visit and getting down Rev. Thero promising him various things. According to information, he promised to get support from Russia for establishment of a hospital in Sri Lanka for the poor. Thinking it was like the first time he came to Australia, and seeing that people like myself and Kosala who were former Russian graduates had become good Buddhists looking for the spiritual path, the main idea of Thero's visit to Russia was to have a look around, get to know people and finding an opportunity to do some" Dharmaprachara" work in a new country where, after the fall of communism people are actively looking for the spiritual path and where, all the fundamental Muslim and Christian evangelist movements are highly active in converting people. Though people in Russia are hungry for Eastern Religious philosophies, except for some attempts by Hindu Hari Krishana Movement (Click Here) no body else is interested in sharing the knowledge. 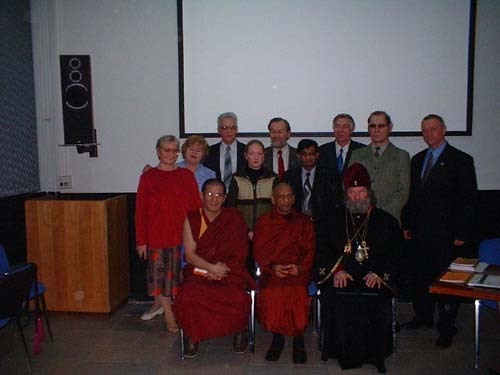 Rev.Soma knew that and genuinely wanted to share the Buddha's teaching among interested people in Russia and he just wanted an opportunity to visit. Through his brother the Editor of "Janawijaya", Reverent Shanthi may have come to know about it and he used the interest of Thero about the new developments in Russian society and culture to entice him to Leningrad and the rest you know what happened. As a friend of late Ven. Soma Thero, I would like to thank all the Sri Lankans, Buddhist and none Buddhist alike for the exemplary conduct and the solidarity shown during the past two weeks. That was the greatest honor you did for him. That also clearly shows that while the majority wants to live in peace and harmony, there is only a few handful of people with criminal intentions want to create disharmony in between different religious groups. Thank you all for not falling victim of those really bad people. His death is a real mystery Something like a story from a fiction. Please click the below links to view a day by day first hand account of how things happened. I am not pointing finger at any one, because I too am now totally confused. Unable to think what happened. So I think the readers will be better judges. But my point of view is that, the person who invited the Monk to Russia owes some explanation. At least an statement in his web site, telling us, the friends of the dead monk and the family, his side of the story of what really happened and thus release us from this agony. Is it a too much of a thing to ask? Not only Reverent Professor "Shanthi Jayasekkkarraan" had failed miserably in his duty of care for his guest Rev. Soma, by keeping silent for two months without informing that Rev. Soma had fallen ill, When he died Rev. Shanthi did not even care for a simple gesture like posting a condolence message in his web site, while a whole country wept. Is that the attitude of a person who call himself a Reverent of what ever the religion he belongs ?. I am asking those who are in legal profession in Sri Lanka this question, If not for murder, is there a way to prosecute him for gross negligence ? Perhaps my visitors may remember that on 14/12/2003 I wrote that.. It seems that what I wrote above was 100% correct ! It was not astrology but common sense. What kind of pleasure you want to get by spilling the blood of innocent people and their families. What kind of political gain you will achieve by putting one citizen against another ? What do you expect to gain by creating religious unrest in the country. If it is money is that money worth it ?. If it is religion what kind of religion do you belong ? All these days I did not have time to sit behind a computer. Just now I went through the website and pleased to see Lakshman has placed very good sources of inf. re. Ven Soma. I was present at the funeral when all the ceremonies were over and TV cameras were switched off some unknown party fired 3 tear gas canisters at the crowd of mourners ( one fell near the pyre) to create a blood bath. Not a single high ranking police officer was present. Ven. Tuduwe Dhammananda (Dhammaloka?) begged the people to sit down and started chanting pirith. Later a DIG came on to the stage and apologised for failing in his duty, even after the president has warned that disruptive elements will try to create a situation. Now the talk of everybody is this incident which was a method to shift the focus from the main issue. Today some news papers reported that, the leaflets discrediting Ven Soma were printed by a press owned by a politico. Distribution of these leaflets angered some people at the funeral, who attacked the distributors who were protected by the police. They actually got into a police vehicle when the crowds attacked them. 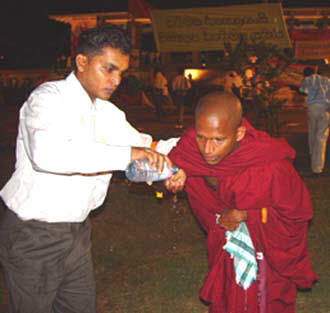 When a Buddhist monk went up to pacify the crowd, the police attacked him and the crowd then attacked the police giving them a reason to throw tear gas. I was told by one ASP that the investigation into the death of Ven Soma is postponed until his DIG can come to an agreement with another parallel investigation undertaken by the Airport police. All diversionary tactics. One single dayaka (Donor) in SL has remitted Rs. 2 M ( USD 20,000) to Shantiiii Jayasekkkarraan. for the operation and as we know the Moscow community handed over another USD 5300 to him. There is a false rumor that Dr. Shantiiii Jayasekkkarraan has returned this money. He stated that 2 operations were conducted on Ven. Soma. The autopsy revealed that no surgery was conducted. Only an attempt was made to place a stentor. This confirms that in spite of receiving all the money demanded by Shantiiii Jayasekkkarraan no proper medical attention was given to Ven Soma. It must be stated that Ven. Soma did pass away from a massive heart attack either natural or artificial. I spoke to Ven. Soma's personal assistant Ven. Gambela Vajira. He confirmed that Ven. Soma was once offered Sri Saddhamma Keerthi Sri Dhamma Shastra Visarada title which Ven. Soma declined to accept. Director of Archives Dr. Wimalarathna told me that Ven. Soma was to be conferred an Honorary Causa by the University of Sri Jayawardenapura next year. Ven. Mahamevnave Mangala told me that after the passing away of Ven. Madihe Pannasiha Ven. Soma wanted to be away for some time to engage in some meditation.Ven. Vajira also told me that Ven. Soma never declined an offer to spread the word of Dhamma in an unknown remote areas. These factors may have led him to accept the persistent invitation by his trusted editor Sisirakumara Jayasekkkarraan to go to St. Petersburg. I am pleading to the moderate Buddhist, Hindu, Catholic, Christian and Muslim leaders in the country Please get together and force the government to use the fullest force of law to punish those few who wanted to create trouble no matter what religion they belong and stop this problem once for all. Otherwise sure these people will go and attack a Buddhist temple and blame it on Catholics or will attack a Church and blame it on Buddhists. 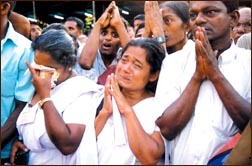 Buddhists in Sri Lanka do not target Christian's for Ven. Soma Thero's death. But they accuse the fundamental groups who does a big damage to Christianity by interpreting the Sacred words of Lord Jesus Christ. Whether the death of Ven. Soma Thero is due to a natural cause or not is still a question. But remember if it is a murder, the murderer will be punished some day. Remember the meaning of the words of our Lord Jesus Christ ' We harvest what we cultivate'. So in buddhism to one's deed referred as 'karma'. If a person do good deeds that person will be repayed by good and if a person did bad deeds that person will be repay by bad. Ven. Soma Thero taught the Sinhalese Buddhists of how to live peacefully with non Buddhists and non Sinhalese. He never cultivated anti-christian ideas. These fundamental groups are anothe form of 'Cult' the devil who will one day damage Christianity. My appeal is to all the Christians around the world. Please do not let these fundamental groups who calls them true Christians abuse our sacred Christianity. Their mere deeds harm the Christianity and the Christians than the Buddhists or the Buddhism. Today in a Sri Lankan News paper (Mis-leader of Sundays) 2 articles appeared which were very cleverly written using the emails first published on (14/12/2003) on this web site and an another forwarded by Kosala Jayasinge. While trying to portray Reverent Professor "Shanthi Jayasekkkarraan" as a saint and the Patient Rev. Soma as the Culprit and we who were worried about Rev. Somas illness as Villains, the person who wrote it has completely forgot the fact that, at that time Rev. Soma was a sick person stranded in a country where 99% of people do not know English well. So Rev. Soma was unable to communicate properly and thus was there probably with out knowing the gravity of his situation and believing that he is being cared adequately. As one of the callers, I was concerned (Click here to see what I wrote on 14/12/2003 ) about it and on 23/12/2003.) about that problem and a range of other things such as whether he was getting sufficient medical attention. So it is pointless to shift the blame on the sick person. But as same as Kosala, I too blame Soma Thero on one thing, that is for not listening to our advice and placing the complete trust on that dubious character whom we have every reason to believe is a con man (If not a con man who will offer bogus Degrees ?) and responsible for the death of Soma Thero by some way or another at least through his gross negligence. If you think that he is such a good fellow tell me why for 2 months he kept silent about the illness of his guest ?. Why he has not yet come forward offering his side of the story or at least a condolence message. As I said here (P.S. (8) 24/12/2003 Biggest con or an innocent fool ? New pictures ) while the whole country wept he kept silent and still keeping silent ? These are some of the real questions not only the family and the friends like us are asking. In fact from the beginning everybody in the country Christians, Catholics, Muslims, Hindus and Buddhist alike are asking. As Soma Thero's subsequent death had proven, that both Rupasiri's and the Good Doctor Karu were wrong in their judgments. If Soma Thero had listened to us the the advices of true friends, he would have escaped the death. Natural or unnatural what ever it was which I still truly do not know and eager to find out just like you all. up@q~Xy : vQq~vw~ kLN mQwOrn~ @g~ up@qs~ vlt pQtEp`wm hQwOvk~k`r wWrN kQYy`w~mk k@l`w~ mr ugOl~ vlt hsEvW wm jWvQwyq ahQmQ vQy h#k. "Lesson to be learned: People who disregard and throw away the well intentioned good advices of true friends can easily fall in to deadly traps and may even loose their life"
From the letters I get from visitors, following are some of the questions people are asking. I think that somebody must make a list. That is the only thing we can do. Finding answers we can not as it is up to the government authorities, that is why there are police departments and judiciary. It is up to them to find answers. P.S. (17) 30/12/2003 Punish those trouble makers ! "Otherwise sure these people will go and attack a Buddhist temple and blame it on Catholics or will attack a Church and blame it on Buddhists." (No ! No ! I am not using this tragedy to get marks for me as an astrologer, that is why I said in the beginning you do not need an astrologer to foresee this obvious) If I could foresee the next move of those criminal elements, even when living in thousands of mils away ! why the people in the responsible positions of the government was blind to it ? Soma Thero never wanted people to go and break buildings ! Has any one heard that he said such things when he was alive ! No matter what religion or the political party they belong. Those are criminals. Those are the ones who do not allow any body in this country to live in peace. Punish those criminal elements who want to create an artificial trouble. Bring down the fullest force of law. Sending them to jail is also not enough If they broke some thing make them pay double the cost of repair plus the cost of the investigation and court proceedings ! No need to say that Soma Thero was a person of a historical significance like Anagarika Dharmapala, Tibetan National S. Mahinda Thero and the American National Col. Henry S. Olcott. Sri Lankans are such an ungrateful nation, that as far as my knowledge there are none or very few of those great personalities original writings or personnel effects were preserved for the benefit of the posterity. Therefore I think that necessary steps should be taken to protect at least the room Soma Thero used to live in Sri Lanka in it's undisturbed original condition. Ven. Soma Thera's demise has caused a great and irreparable loss to both Sri Lanka and the Buddhists of the world. It is very unfortunate that we lost the only true "Peoples Maha Nayaka Thero" we had in present history of time. I do sincerely hope that we will be fortunate enough to see that some real leaders will emerge out of this tragedy. This is my good news and the new year present to those who are deeply depressed from this tragedy. The Venerable Dr. Omalpe Sobhitha Thero belongs to a new generation of Buddhist monk leaders, rising in Sri Lanka today, after successive governments have attempted to appease Buddhist Maha Nayakas, the monks who hold high offices, by giving them government perks like bungalows, Mercedes Benz salon cars and even millions of rupees of tax payer money, to celebrate anniversaries in order to silence them over crucial matters of national interests. Scholar monks like Venerable Omalpe Sobhitha or monk Ellawela Medhananda.. If you ever visited London, you will see at Hyde Park people express their views freely in public. As long as you do not offend others it is Ok. It is a democratic right we treasure. Same is the Freedom of believing a religion.Everybody has the right to it. 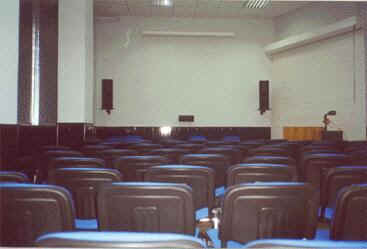 As same as in public speaking it has its accepted limitations in the society. You can enlighten some one only if the other person is genuinely interested and come asking for it. Your belief of a religious idea should not mean that you can go uninvited and knock the door of someone's house and say to that person that you bring the good news of that his or her religion is wrong and yours is absolutely correct, or use money as a bribe to attract people. No need to say that, It is completely against any religion or civilized society to conspirate against others of different faiths. That is undemocratic and it is religious terrorism. What ever the name they use for it whether Yohowah, Allah, Shiva, Jesus or Buddha these are none but an another brand of fanatic terrorists who bring bad news and not the good news. With whom the truly religious people of the above faiths have nothing to do with. The most resent examples of their terrorist acts are Bali Bombings, World Trade Centre tragedy, Wacho deaths of David Koresh and Shoko Asaharas killings of innocent. It is easy to awaken a person who is sleep, but harder to awake a person who pretends to sleep, it looks more like that the Authorities of Sri Lankan government is falling under the second group. But as people do not seems to understand the importance of the above document which is most probably genuine, I Will write my view and the significance of this in relation to Sri Lanka, India and the countries or the region including Australia. First of all, if genuine, then this is a document of utmost important to Sri Lanka because it shows that there is a plan for the establishment of a fundamentalist/terrorist government in the country or in a part of the country already weakened by the ethnic conflict. 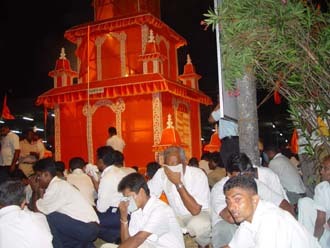 According to reports, it is the Hindus of the Northern Sri Lanka are the easy target, since doing the same was difficult in the South, those plans seems to have been hatched to silence those who were potential opponents. Wise leaders in the region (as I do not know whether there is any one in Sri Lanka) must understand the emergence of one fundamentalist religious terrorist group and silencing of moderate people can easily lead to an emergence of an another and another of such extremist groups such as Jihad. It is a threat to the stability of the region, that is why wise leaders of Australia used their diplomatic might and sent their own police to work with Indonesian Police to investigate the Bali incident. though a bit far away, any repercussion of an extremist religious government in the whole or a part of Sri Lanka can well pose a security threat even as far as Australia too. Thanks to good leaders Australia definitely will be a very powerful nation in the region in near future. The biggest problem will be for India already besieged by unfriendly neighbors from every direction except from the direction of Sri Lanka. India then will be surrounded by the states whose only intention is to see that India is broken in to pieces, destruction of India, it's culture and associated belief system. No body should forget that Both India and Pakistan (And also China) posses Nuclear capabilities, the world's most dangerous spot at the moment is Indo Pakistan border. Weaker India is deadly for every one concerned. Weaker Sri Lanka can easily lead to a weaker India. So seeing that India being powerful, coherent, has control over its territory, moderate, democratic and benign should be the genuine wish of all. Therefore it should be the paramount of importance to the every government of the region, to make genuine (and I mean genuine and not under hand dealings like saying one and doing opposite, remember that Indian P.M. Rajiev Ghandhi and SL President Premadasa had to pay from their life for such mistakes) effort, to bring peace and harmony while protecting the democratic and religious rites of Tamils, Sinhalese ,Muslims and every body also to protect the integrity of the country and it's ability have the full control over the total area of land mass of Sri Lanka. Therefore if some body who knows those leaders of said countries sees this, it is wise in his or her part to show this letter to them so that they too will understand the gravity of the situation. Walter Jayawardhana writes to now Sir Shanthi Jaya asking him to clarify how he got so many degree and also become Sir. "No matter what religion or the political party they belong. Those are criminals. Those are the ones who do not allow any body in this country to live in peace. Punish those criminal elements who want to create an artificial trouble. Bring down the fullest force of law. P.S. (17) 30/12/2003 Punish those trouble makers ! " I will not comment on this because I am disgusted. But I will remind you one incident which happened about 6 months back when an unemployed poor father of 2 children robbed a bunch of Bananas from a shop. The police was so much interested in investigation of the incident and bringing justice, during the process of investigation of that heinous unspeakable crime, the police had assaulted him resulting his death. It seems to me that enforcement of peace, stability, security, religious harmony and justice is not worth a bunch of Bananas in this country !. They are more interested in finding who is behind the loss of a bunch of Bananas than who is trying to set the country on fire !. What a country !. Definitely must be the the kingdom of god or the paradise, but for whom is the question. ? With every passing day, it is becoming more and more evident that, the absence of Rev.Soma Thero was a great loss for us all. When he was alive, he talked sense, he talked of the things as they are, good things as good, bad things as bad in a constructive critical way, in plain simple language. He was closer to people, he was not an any one's puppet. He was not against any ethnic group or a religion, he did not cons pirate against any person or a group, he did not have a secret program to convert people from other religious faiths to become Buddhists he did not belong to any political party nor he crawled in front of any dirty politician in search of gains. He wanted to see that the country is well managed, he wanted to see that the people respect each other for their good qualities rather than wealth or the position. He wanted to see the people are law abiding and the politicians are honest and truthful. He wanted to see that the rule of law is fair to every body and it applied in the same way to the poorest of poor and the affluent of the affluent. He wanted to see that people adhered to their respective religious ways so that Buddhists are good Buddhists and Christians are good Christians etc. So that crime wave that is allowed to flourish in the country is quelled. Therefore, even in his absence it is important to keep his sprit alive among people. To fill the gap of his absence people of every religion and every ethnic group who value his qualities must do their best. Otherwise the extremists, fanatics, crooks, murderers, thugs and thieves will hijack the voice of moderate sensible Sri Lankan majority and will build their kingdom of terror standing on his dead body. Only days after the United National Front government gave a written pledge to the protesting Buddhist monks who were performing a fast unto death demanding new laws to stop "unethical and immoral" religious conversions of Buddhists into Fundamentalist Christianity within the next sixty days UNF Cabinet Minister Vajera Abeywardena attacked people who put forward such demands more..
Every time I sit in front of my computer, I ask myself why should I waste my time writing to a bunch of ignorant fools. If any one should be least worried what will happen to those idiots in Sri Lanka, I am one of them. All my closest relatives in Sri Lanka are now dead. I do not have any high ranking position to loose, I do not belong or belong to any political party there, I do not have company shares, tourist or business investments or industries there, to be worried about the effects of the disestablishing of the country and the economy should have on them. So when those who should be worried are not worried, why should I worry ? I worry because of the fact that, many innocent people, their families and children will suffer if everybody looks the other way. During 1930's when Adolph Hitler was a budding Nazi and preparing for his ill scheme to come in to power and capture Poland, France, England and Russia. The moderate and good German citizens were not worried and minded their own businesses. Who paid the ultimate price for that ? Not only millions of Germans, but millions of innocent Americans, British, Jewish, Russians and every body. I myself eye witnessed how the 1983 July incident in Sri Lanka started, and because of that still thousands of innocent Sinhalese and Tamils are still suffering from the resulting terror. That day, I was sick for two days and traveling by bus from Homagama to Colombo to get some medical treatment. When the bus reached Kirulapona (where the Library is, near Sebel Ave.). A lorry was burning across the High Level road and the bus had to be stopped as it looked some commotion is happening in front of the road. Since my intention was still to see the doctor and I am getting late for the clinic appointment, I decided to walk forward towards the Kirulapona Junction so I can catch an another bus. While I was walking, I saw a group of well built 5-6 people wearing Motor cycle helmets which covers whole face and yielding crow bars are trying to force open the door of a shop which appeared to be a paint shop with Dulux or some other popular brand name was displayed. There was no police in the vicinity to stop the act. They managed to open it, got inside, and threw the cash drawer to the road. At that time many poor city slum dwellers who live along the huts close to the Kirulapona canal were watching the spectacle who impulsively ran forward to collect the thrown cash. Some then started carrying away the paint tins too. Others joined the gang and started a looting burning and killing spree attacking the shops and houses in the vicinity. This is a Tamil Sinhalese mixed area Sinhalese who protected Tamil friends and neighbors were also attacked mercilessly but still many good Singhalese risked their lives to shelter them. It started around 9 am as I remember, I thought that around 11am. or 12pm the authorities will declare curfew and stop this madness. But to my dismay and amazement nothing of that sort happened until 4pm. This is how all the calamity for innocent Tamils and Singhalese for the last 20 years had started. A group of 5-6 people who came well prepared for starting this at a time some people were emotional due to the killing of 13 from a land mine plus inaction of the Authorities. Why such clearly seen inaction ?. Was there a connection between that inaction and the 5-6 people who came prepared ? Who wanted this to happen ? and who benefited from that ? (Now you should be able to see by who became rich and who became powerful) are the questions ? Clearly it is not the innocent Tamils or Sinhalese. That is why, I am worried. Because I do not want to see that again. I do not want to see innocent Buddhists, Christians, Hindus, Catholics or Muslims or any body suffered because of the ill schemes of those really bad people who now had changed their tactics and will use the name of religion and the "Kingdom of God" to bring the calamity on the people. Therefore, it is the duty of every sensible person every true religious leader in the country to be aware of this evil and constructive to stop it. It is the true divinity. It is the compassion for every body that is a godly attribute. As the first step, the mainstream religious institutions like, Temples, Kovils and Churches should educate people the true nature of these bad people. But please do not invite Sri Lankan politicians to it, they are from the devil. Well, if you want my comments, they were already given under P.S. (15) 28/12/2003 Shifting the Blame "As Soma Thero's subsequent death had proven, that both Rupasiri's and the Good Doctor Karu were wrong in their judgments. If Soma Thero had listened to us the the advices of true friends, he would have escaped the death. Natural or unnatural what ever it was which I still truly do not know and eager to find out just like you all." The late Venerable Gangodawila Soma Thero suffered severe chest pains just before his plane touched Moscow airport and then during his immediate second flight from Moscow to St. Petersburg and neither at the Moscow airport nor at the St. Petersburg airport , his host Rev. Shantiiii Pushpa Jaya quickly responded by calling paramedics or immediately transporting him to a nearby hospital, Moscow�s Sri Lankan Buddhist Association President revealed. In an article , unpublished so far, and obtained by this correspondent the President of the Sri Lanka Buddhist Association in Moscow said Rev. 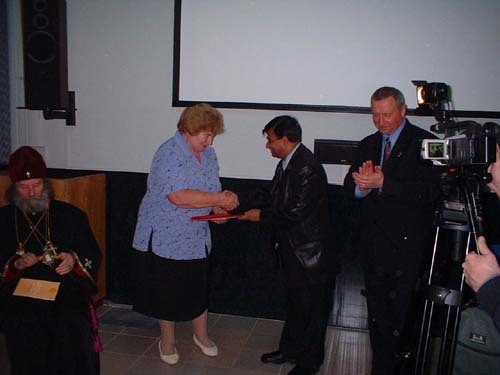 Jaya met Venerable Gangodawila Soma at the Moscow Airport and was told about the possible unbearable angina pains but he put him in a second plane to St. Petersburg in which he got a second attack. According to the article written by Buddhist Association President Rupasiri Perera there was no indication that Rev. Jaya called paramedics at St. Petersburg Airport as soon as the plane landed there, the careful examination of the document, by this correspondent revealed. A question rises, why Rev. Jaya who runs a medical school attached to his International University of Fundamental Studies did not have the basic knowledge to quickly react to a heart attack , one after another , or simply unbearable angina pain at both these airports by calling paramedics or transporting the patient immediately to a hospital. 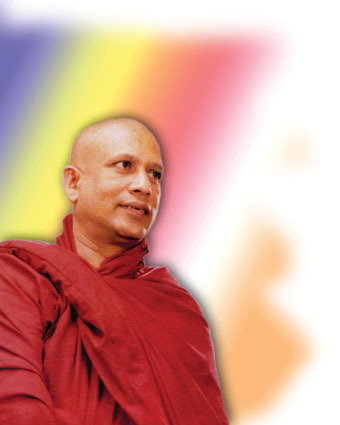 According to what was reportedly told to Rupasiri Perera by the late monk, instead of a hospital the late monk was transported in a car to a house, which he called a temple (pansala) and the paramedics were called when the late Thero demanded for a an ambulance. The late Thero reportedly told Rupasiri Perera that the �doctors� who came in the ambulance were amazed that he was still alive as his condition was so bad. 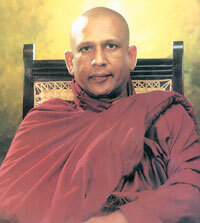 Rupasiri Perera said that the late monk told him that Rev. 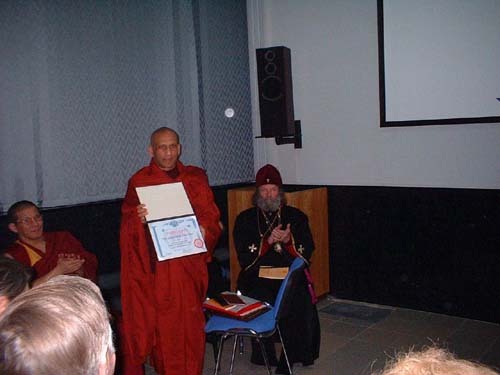 Jaya held his PhD award ceremony for Venerable Soma in a sanatorium hall and not at his International University of fundamental Studies. Perera said he saw in a drawer in the room the certificate of the late Thero�s PhD appellation and with the late Theros permission he read it. Apart from the Rev. 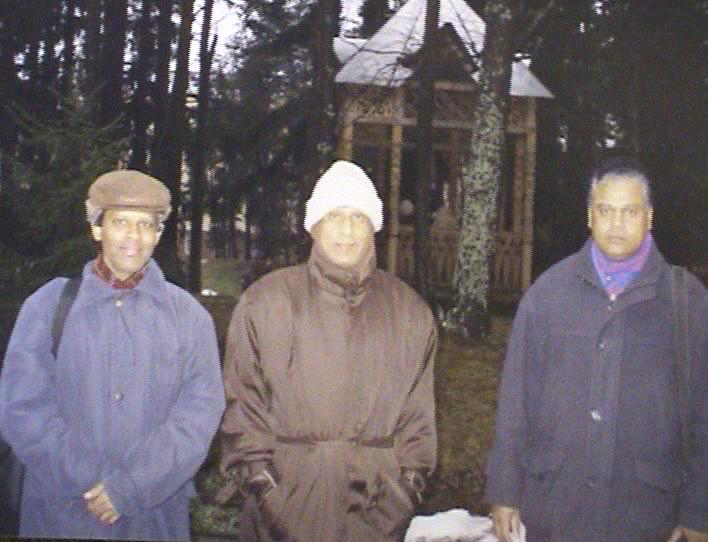 Pushpa Jaya , who kept him in this sanatorium allegedly in preparation for a by pass heart surgery Rupasiri Perera with another friend Hemantha Sirisena were two of the last few Sri Lankans in Russia who visited the monk before his passing away. Rupasiri Perera , apparently disturbed over the monk�s stay under the protection of the Rev. 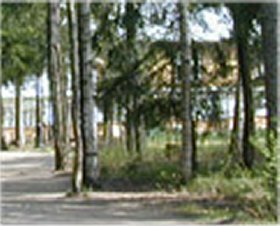 Shantiiii Pushpa Jaya wrote in his article that when he first heard that Venerable Soma was being hosted by one Professor Shantiiii Pushpa his memories went back to a struggling businessman many years ago in St. Petersburg who held a trade show in that city and not to a academician . When he phoned his friend Hemantha Sirisena in the same place even he did not know about any Professor named Shantiiii Pushpa Jaya . Rupasiri Perera said in his Sinhala language article that he joined Sirisena at St. Petersburg railway station after a train journey of 650 kilometers from Moscow. Both visited Soma Thero together at the Regina Sanatorium. Even Sirisena, who spent many years in St. Petersburg had never heard about any Professor Jaya in the Sri Lankan community. Both of them met the Thero at 10.25 a.m. 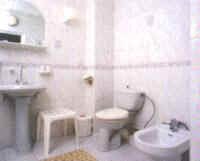 The Venerable Thero lived in a well furnished and comfortable sanatorium room. The late monk told the two friends that he suffered the crusing heart pain when his plane was closing in on Moscow. He said he immediately started chanting stanzas that declared the supreme qualities of the Buddha and the unbearable pain disappeared. At first he was suffering from the fear of death. � But I felt later so happy when I was chanting those stanzas I even thought it was alright for me to die. I immediately thought I must preach about this great experience next time I deliver a sermon.�. Perera said according to the late Venerable Soma, Rev. Shantiiii Jaya met him at Moscow Airport and was told about the unbearable Chest pains. But sying he would seek medical assistance for Venerable Soma at St. Petersburg he put him in a second plane to that city. In the second plane too he once again suffered angina pains. 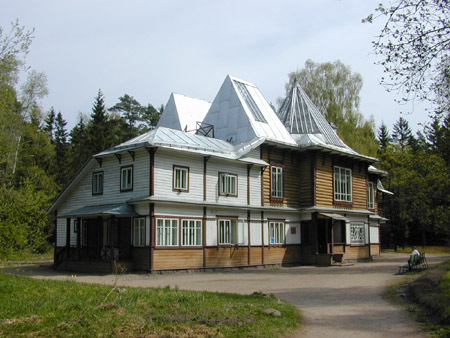 Thereafter Venerable Soma said he reached a Pansala (a temple), most probably some shelter provided by Jaya in St. Petersburg. Then only he told Jaya that it was imperative for him to have an ambulance to go to a hospital. The �doctors� who came in the ambulance were amazed that he was still alive since his condition was so bad, the late Venerable Soma told Rupasiri Perera. When he reached hospital the doctors were all ready to operate on him. But Rupasiri Perera failed to describe what kind of operation he underwent. 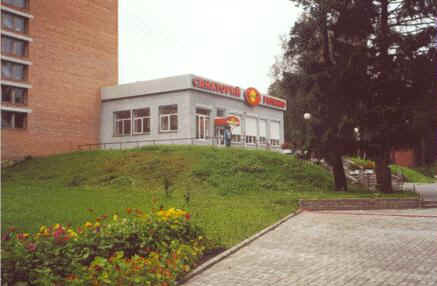 He said the offer by Sri Lankan businessmen in Moscow to move him to a better Moscow hospital was also rejected by him. Perera said he offered Buddhist Society money to Sirisena to buy telephone cards for the late Venerable Soma but refusing money Sirisena took over the responsibility. Perera said both of them joined the late Thero in his recommended evening walk for exercise and Sirisena was able to obtain a photo of three of them by asking a stranger to take a photo using Sirisena�s camera. Rupasiri Perera said from Sirisena�s hostel in St. Petersburg he called Rev. Shantiiii Pushpa Jaya and offered financial assistance for the monk�s surgery. He reportedly asked Rupasiri Perera to raise 12,000 to 10,000 us dollars for the surgery. 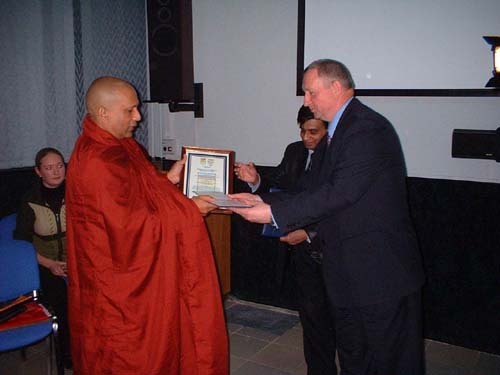 He said Moscow�s Sri Lankan Buddhist Association which met with the ambassador�s participation collected 9000 US Dollars immediately to pay the medical bills of the late Venerable Soma. When they contacted Rev. Shantiiii Pushpa Jaya on the speaker phone so that everybody could hear the conversation he said he had already paid US $ 3300 as an advance. 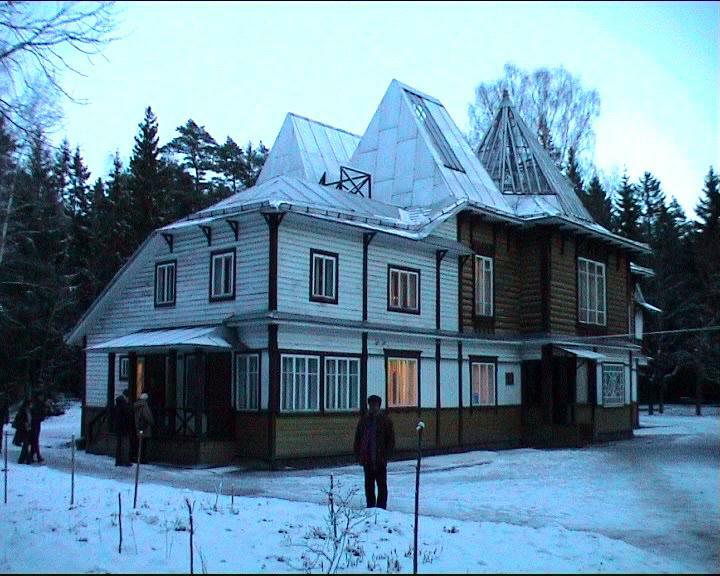 Carrying the balance money Rupasiri Perera and Dr. Karunaratne, a Sri Lanka born Russian medical practitioner once again made a train journey to St Petersburg to visit Venerable Soma. But this time they went to a hospital since Venerable Soma had been transferred from the sanatorium. Jaya was waiting there for the money and Sirisena could not join them since he had prior engagements for the day. At this meeting they also met an old Russian couple and the late Venerable Soma introduced them as very helpful to him. A retired Russian doctor couple, they were acting as coordinators between the hospital and the patient . In fact they were also serving as teachers at Jaya�s school. During the visit Dr. Karunaratne also thoroughly examined the patient. The late Thero said that the doctors would decide on the day of the second surgery , December 8. Rupasiri Perera said when they left Venerable Soma that day he was cheerful and confident. He said when he phoned up Sirisena , December 12, to inform him about the sudden demise of Venerable Soma he was shocked as even on the previous day he was phoning up to give pin numbers of a phone card. . To thank him , he said the greatful monk called him twice and he sounded alright. Well, if you want my comments, they were already given under P.S. (15) 28/12/2003 Shifting the Blame "As Soma Thero's subsequent death had proven, that both Rupasiri's and the Good Doctor Karu were wrong in their judgments. If Soma Thero had listened to us the the advices of true friends those who had called from Sri Lanka and Austalia, he would have escaped the death. Natural or unnatural what ever it was which I still truly do not know and eager to find out just like you all. But it looks to me more and more now, that the Ven. Soma died because of the lack of proper medical treatments at the first instance and also later, rather than the bad horoscope. (Rupasiri says in his Sinhalese unpublished article, that he discussed about the Soma Thero's horoscope in his visit) What a stupid thing ! As I always point out in my site Horoscope is beneficial if you take it in the middle path. But it can not replace the proper medical attention . Not all but, most of the bad karmas can be overcome by proper timely actions plus blessings and that is what Soma Thero was supposed to teach people, that is what all the Buddhism is about and I can not believe as a friend who knows him sufficiently well that Soma Thero had such a fatalistic attitude unless his mind was clouded due to the ilness. It looks to me that, it is very odd that Rev. Soma called Rupasiri "Mahatthaya" (The closest meaning is Sir in English and "Gospadin" in Russian if Soma Thero suddenly started talking in Russian by some miracle) several times in his conversation as Rupasiri mentions in his unpublished writing. I knew Soma Thero when he was just a normal monk and not a public figure. At that time he was a real Buddha Puthra who was proud of his saffron robe and never sir'ed any one how ever big or small he is by position, education or money. He asked the name and called the person by name. During later years I do not know him much such as whether he became more humble, but if any one says that Soma Thero called him "Mahatthaya" Please let me know. I am curious to see who you are as you definitely must be a very great soul as the other meaning of Mahatthaya is (Maha + Athmaya) the great soul. On behalf of our Buddhist Society in front of Ven. Soma Thero I handed over Roubles 167,773 to Dr. Shanthi Jaya. There was no other way to pay this money. This is one of the main parts of our society's contribution. We arrived at 9:20 in the morning on December 6 and we managed to be at the hospital at 10:40. I saw Ven. Soma Thero for the second time and after handing over money we even had a little dhamma discussion. When Shanthi Jaya left with his Russian colleagues I asked Thero about his inner feelings because I had felt some worries. He does not worry about his own health but he worries about the attitude of people to his illness. He gets so many telephone calls from different countries, mainly from Sri Lanka and Australia. Of this, 99% of the calls make him worry because these people do not know the situation here and they have not got the right information. Do you remember that on behalf of all Buddhists in the world you asked us to help and take care of Ven. Soma Thero? Now on behalf of all the Buddhists of four directions I ask you to help Ven. Soma Thero informing others not to worry Thero with unnecessary telephone calls. Ask them to only talk about positive things; ask them to encourage Thero in this difficult situation. He trusts the doctors and the people around him. He gets blessings and protection of Triple Gem. He is physically and mentally tired of these nonsense calls. This is my only request to you, please help Ven. Soma Thero. On December 8 (Monday) the doctors will decide on the operation. An open request from my visitors. I am just curious to know more about this "Regina" Sanatorium where Soma Thero spent his last days. According to Rupasiri's unpublished Sinhalese report. 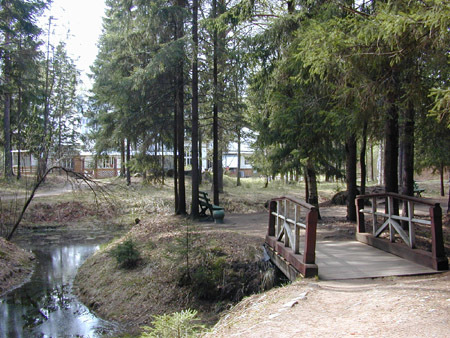 It is in the Gulf of Finland, It should be one and half hour journey from the bus after getting out from Underground Metro station called "Chornaya Reychka" (Black Creek) and Near the sanatorium there should be a museum in the name of a Russian Artist called Rayjin . Can any one enlighten Me ? I am one of those catholics who repeatedly condemned the activities of the Christian missionaries who have settled down in this country with hidden interests. My articles "EVERY CATHOLIC IS A CHRISTIAN BUT EVERY CHRISTIAN IS NOT A CATHOLIC' and "DR. JEKYL AND MR. HYDE" in particular should make every buddhist sympathies with the catholic church on this uncontrollable situation in which the catholic church is totally innocent. "I am pleading to the moderate Buddhist, Hindu, Catholic, Christian and Muslim leaders in the country Please get together and force the government to use the fullest force of law to punish those few who wanted to create trouble no matter what religion they belong and stop this problem once for all. The Jathika Sangha Sammelanaya (JSS) yesterday said that there is an organized campaign by anti-Buddhist elements operating in the country that is bent on making religious clashes by way of attacking churches. It is true that I said previously that, 90% of Sri Lankan Voters are idiots. Otherwise how can they elect people who are not even capable of controlling their children to the parliament and make them ministers ? If this happened in a truly democratic country like Australia where real politicians live and not the bogus ones, usually that minister will step down from his post until the matter is resolved. Colombo Fort Magistrate and Additional District Judge Sarath C. Karunaratne told Fisheries and Aquatic Resources Development Minister Mahinda Wijesekera to advise his children to behave properly in public. Can two wrongs make one right ? It seems to me this is the question now. Stopping a person from converting to a religion he has genuine faith is wrong. So how can you find a solution. which makes everyone happy ? It is easy and the solution is simple. But Sri Lankans are stupid lot. They think big and do little. Because of that they always look for high end solutions than simple remedies. They usually laugh at simple solutions and hide their head in the sand when complicated solutions go way wrong. I am sure they will do it wrong this time too thus aggravating the situation which can be easily corrected, in to a full scale conflict. So how did they solve the problem ? It is by planning permits. Unlike in Sri Lanka, where any one can go to a place and place a Buddhist, Christian, Hindu or Islamic religious icon even in the middle of the road or a junction and declare that, it is a place of worship, temple, church or mosque. You can not do that in Australia. First you must get the permit from the City council showing that there is a need for place of worship and you have enough people in the area around 200 or 300 needing a place of worship. Less than that you can not. Once you find a land, Then the people who live around that proposed temple or church must be notified by publishing a notice in the local paper plus displaying an Government approved slandered size notice board in the property displaying the proposed Building plan and the purpose of it and Giving a notice of 30 days to the residents of the area for objections and the address of the Govt. body where the objections should be directed. If there are no objections only you can build your Church, or Temple or mosque or what ever. (Even Soma Thero had to do all that when establishing Temple at Berwick). 2. Regarding the problem of using money to attract people ? That too is simple. If any religious institution wants to do service to people. That should be done manly using their own local resource. You do not need money to get convinced of a religious philosophy only the knowledge is needed. That is the fair play. It should be made illegal to get huge donations from other countries Buddhist , Hindu or Christian it does not matter. There should be a limit like 2000 or 3000 US$ per year per organization more than that, it should come in to a common fund which will be distributed through the govt. ministers of religious affairs or intended for social services. Are those solutions fair and acceptable for every one or not ? Tell me ? WHO IS TRYING TO BLUFF WHOM? (Eric is a Sri Lankan Catholic who likes to protect the good will and the good name of mainstream Catholic Church in Sri Lanka from those few who want to tarnish it and put one Sri Lankan against another on religious grounds. Eric says that, Reverend Shantiiii P. Jayasekkkarraan, in his own web site, lists himself as follows more.. The problem is we do not have many Gangodawila Somas now. This American company is prepared to send us more Gangodawila Somas. How nice of them. Every Sri Lankan Buddhist must start phoning the office of the Public Diplomacy section of US Embassy in Sri Lanka. And ask the help of US Embassy to get some more of Gangodawila Somas down. If that company does not sell the genuine Gangodawila Somas, which we are prepared to buy in any quantity, then please ask the Embassy to contact FBI and investigate because they are selling the imitation Gangodawila Somas and currently human cloning is illegal in US. When investigating through these pages I have noticed that this company is selling their drugs under the name of �Gangodawila Soma�. It is also observed that such name was not used earlier and they have started using it after the passing away of Soma Thero. I am very much disgusted about this and I think this is something done purposely to insult late Ven. Soma Thero. Soma Thero was a religious leader and it is unethical and unacceptable because any person must be paying respect to any religion no matter what. Also I have learnt that such companies selling drugs over the Internet are against the law. Therefore this site might have broken the laws of United States. Please investigate about this and take action against this to ensure the friendly relations between Sri Lanka and USA. Also it has been case of suspicious the death of Soma Thero, and incidents like this might make things worst. Therefore I kindly request you to do the needful in this regard. Thank you it is a good letter. But I wish to thank you again for it for the fact that it is only you and a few others are the only people to take some action out of 19 million empty heads in Sri Lanka. What a pity. If the total incident could be analyzed as a part of a system, most probably this below report could be the summery of it. An insulin over Dose ? Why Soma Thero went to Russia ? P.S. (20) 4/1/2004 What Country is this ? P.S. (21) 5/1/2004 Kingdom of Terror.